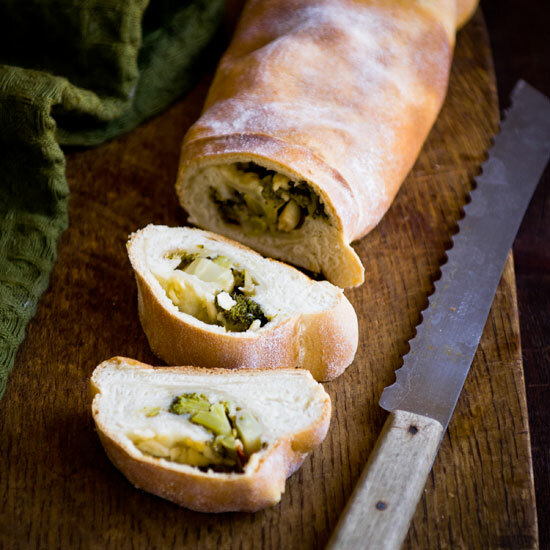 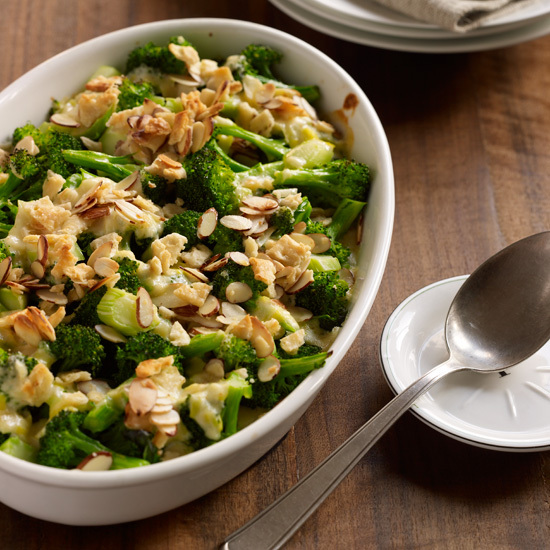 From a cheesy cheddar and broccoli casserole to lemony roasted broccoli with Parmesan, here are superb broccoli recipes for Thanksgiving. 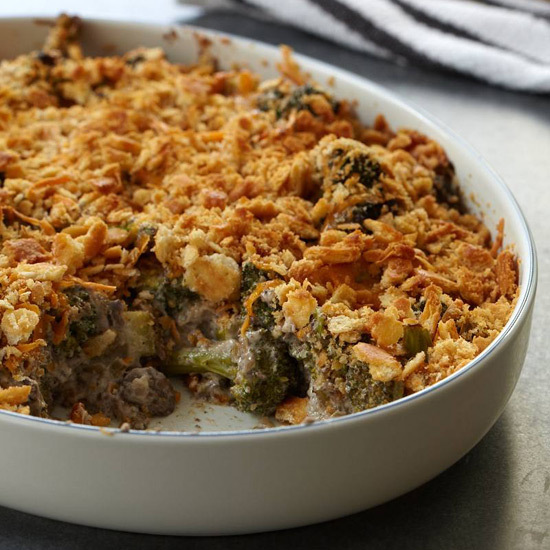 People tend to cook barley more in the winter than in the summer. 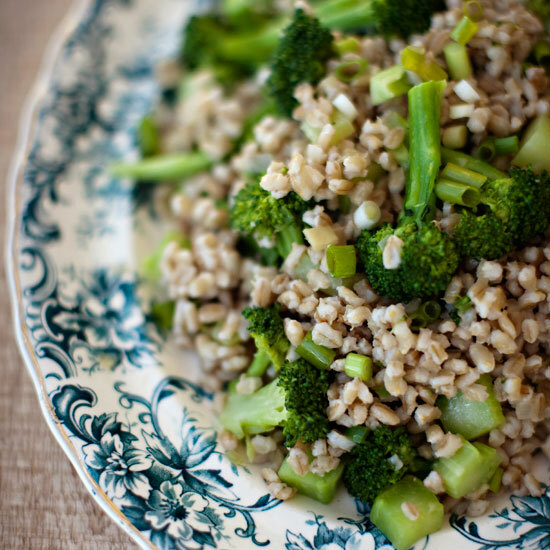 But once it’s been toasted in a saucepan with some butter and boiled (only 20 minutes), barley is a terrific showcase for superfresh vegetables, like the broccoli Grace Parisi uses here. 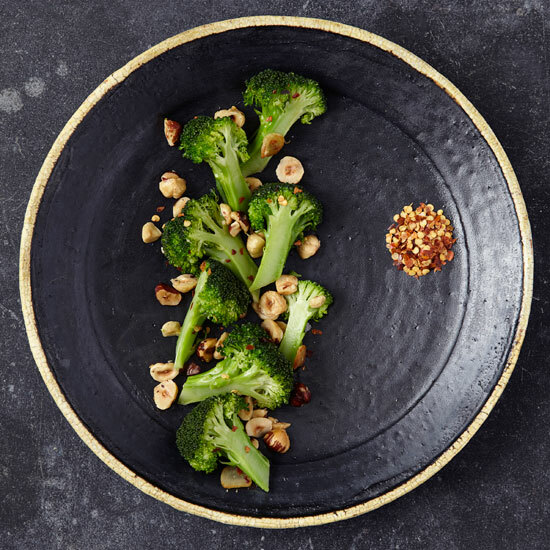 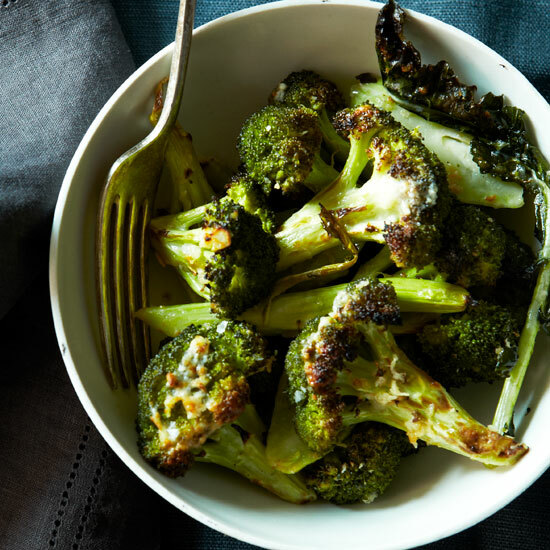 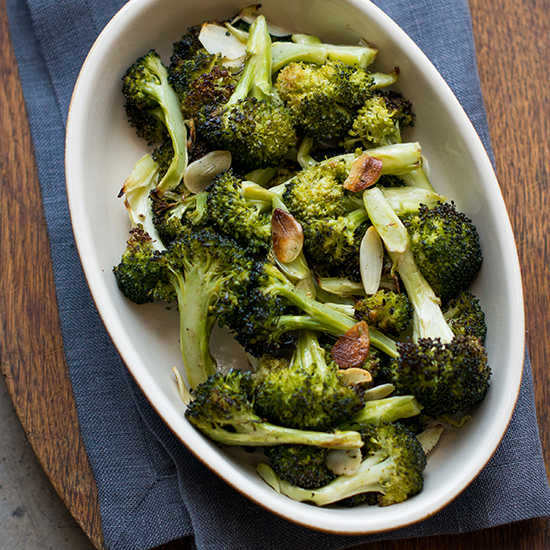 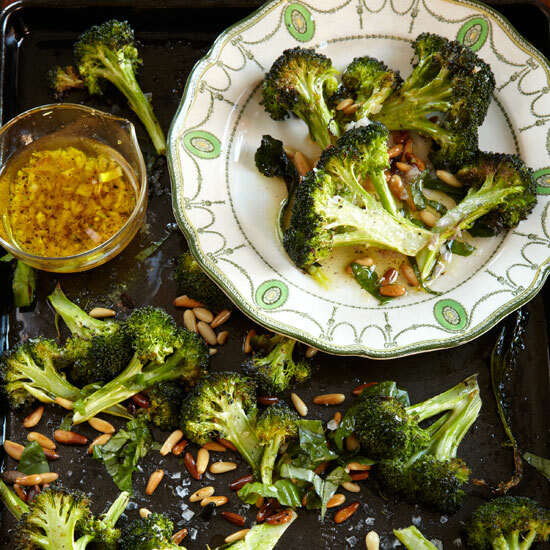 This simple side dish comes together in just 30 minutes, pairing the classic flavors of fragrant roasted garlic and tender, juicy broccoli. 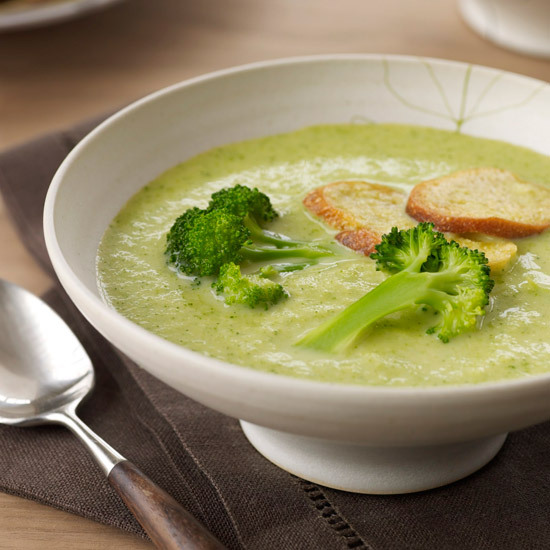 Marcia Kiesel’s luxuriously creamy soups are the perfect starters for Thanksgiving dinner because they can be made in advance, then reheated and garnished just before serving. 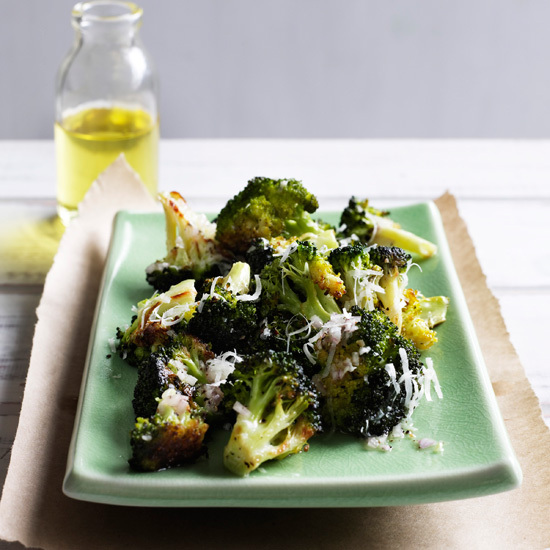 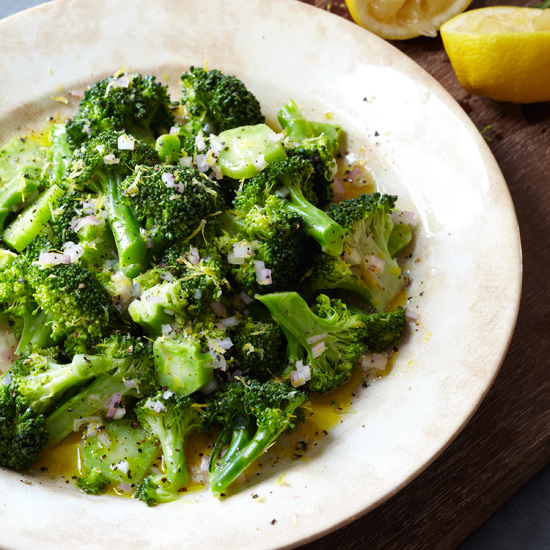 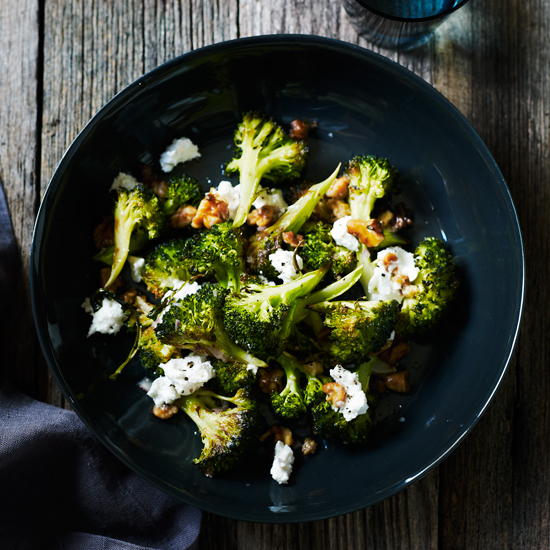 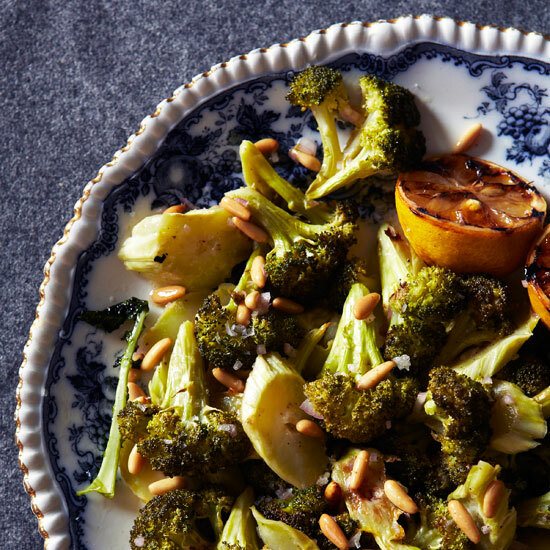 Go-to Side Dish: This broccoli dish gets flavor from a knockout vinaigrette: olive oil, vinegar, lemon juice, lemon zest and shallot come together as a tangy, delicious dressing. 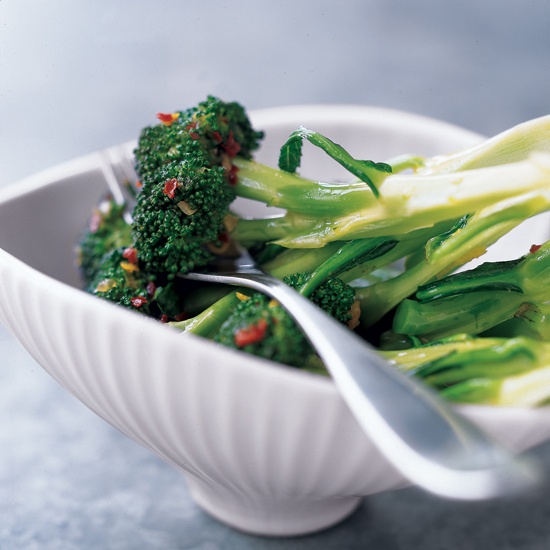 The orange-chile oil can be made ahead and refrigerated for 3 days. 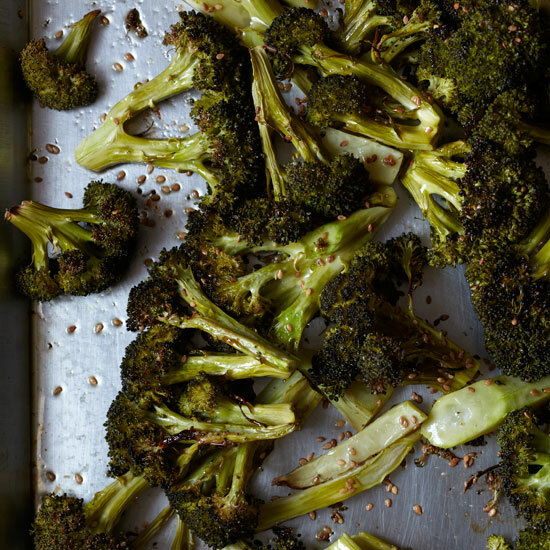 Thanksgiving Make-Ahead Tip: The miso dressing can be refrigerated for up to 3 days, while the cooked and chilled broccoli can be refrigerated overnight. 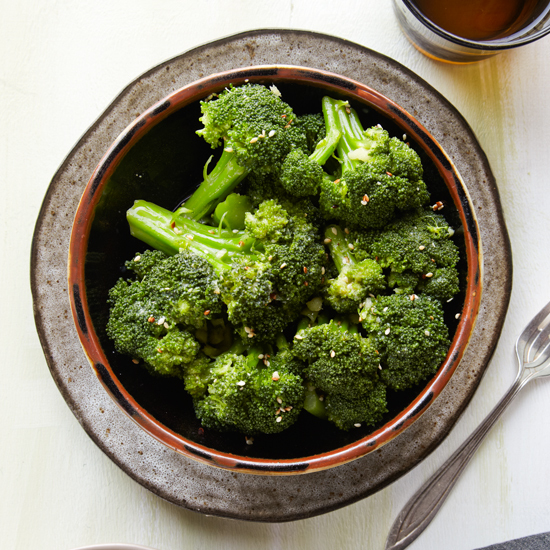 Toss the broccoli with the dressing and sesame seeds just before serving.